Set amongst tropical gardens on a beautiful white sand beach, Hotel Maitai Lapita Village features an outdoor swimming pool, restaurant and bar. Free use of snorkelling equipment and kayaks are available. 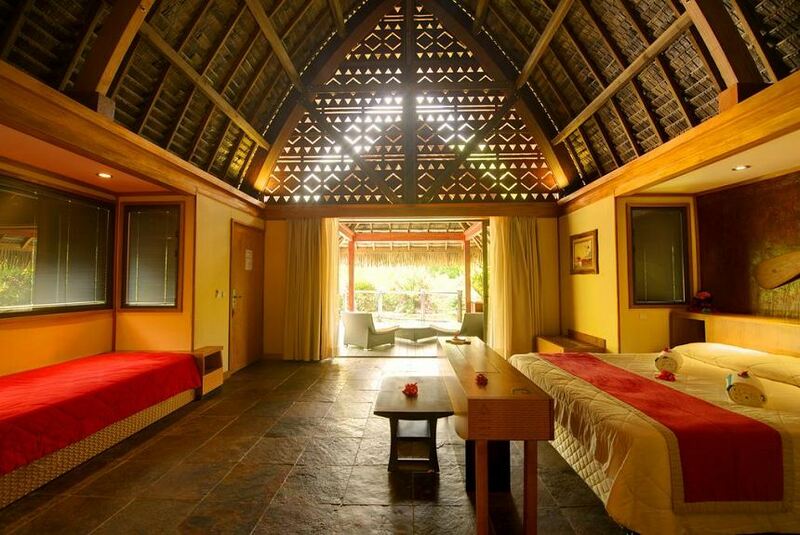 Each bungalow includes a flat-screen TV, air conditioning and tea/coffee making facilities. There is a safety deposit box, minibar and hairdryer in every bungalow. Wi-Fi access is available. Omai Restaurant offers French and local cuisine with lagoon views across the swimming pool. Enjoy cocktails, beers or a glass of wine at the Oaoa Bar, situated between the gardens and the beach.